Recently, photos started coming up on my Facebook memories, that made me stop and think about my past eight years in fitness. In January 2010, I bought the first book written by fitness trainer Michelle Bridges. At the back of that book was a short note saying to watch out for exciting news in relation to a new online fitness program, that Michelle was releasing in May of that year. Immediately, I knew that whatever that program was, I would be participating. I had watched Michelle for years, and held her in high regard as a great trainer, and a genuine person, who truly wanted the best for others. I first came across her in my fitness instructor days, when I went to an instructor training weekend in Sydney. Michelle, at a very young age was one of the presenters. When she popped up as a trainer on TV show, The Biggest Loser, I wasn’t at all surprised. It was obvious in the early days, that Michelle had what it takes to go far in her career. March finally arrived, and Michelle’s 12 week body transformation was released online. On line programs such as this were quite rare in those days so I wasn’t sure what to expect. But 12wbt was all that I had hoped for and I joined up very quickly. I had been exercising at the gym and cycling for years but felt that I needed more focus. I was living alone, so had all the time that I needed to devote to the program. I knew that the time was right, and that the program was perfect for me. I continued cycling on cardio days, and followed the 12wbt gym and nutrition programs to the letter. In those days, I was riding 50-60k most days. At the end of the 12 weeks, I had lost 11 kilograms and was named as one of the high achievers of the program. The prize was given for not only weight loss, but also contributing and encouraging others on the 12wbt forums. I was 56 years old in 2010, and much younger than most of the participants, but age didn’t stop me. Actually, I didn’t even give a thought to my age. I did love the forums, and made many good friends who I still count as friends today. Those friends were from all around Australia, so, during the challenge, I went to Melbourne and Sydney often, to be involved with exercise sessions with them. The very first ‘event’ we organised on the12wbt forum was Relay for Life at Albert Park Lake, Melbourne. There were about 10 of us who put our hand up to join in. We were very respectful of the ebvent, but we decided that we would do Relay for Life with a difference. Instead of doing it as a relay, we would do it as a 24 hour walk. This was the longest and biggest fitness challenge I’d ever taken up, and looking back now, I see it as the catalyst for many events and challenges done since. I will never forget how exhausted we were during this event. Before we started, we were quite proud of ourselves as we had all lost weight, and become very fit, during the weeks of 12wbt. But it soon became obvious that we weren’t fit enough for this type of marathon event, that we had planned. We walked without stopping, from 10am to 10pm, when we decided to take a meal break and stretch. I have memories of us with our legs up on a table, stretching….and there we stayed. We were so stiff and sore, we weren’t able to get our legs down. But eventually we continued on and walked until about 5am. Not quite the 24 hours, but not too bad as a first long distance event. Members joined together and competed in many fun runs – Melboure Marathon Festival, Run Melbourne, Run 4 Kids, and City to Surf in Sydney. I remember these days as being some of the best of my life, where I was able to compete at a level higher than I ever dreamed of. She was a guest at a fitness event, at Birrarung Marr, Federation Square. So of course we went along to see her and hopefully meet her. In the first year of 12wbt there were many less participants than today, so Michelle was able to give us her personal attention for all of the 12 weeks. That day, she led an aerobics class for us, and spent time with us after. She was very proud of ‘her girls’. This was almost at the end of the challenge and gave us the impetus to finish strongly. A couple of weeks later we flew up to Sydney for the final week celebration. There was to be a fitness class in a Sydney Park with Michelle, followed by a cocktail party that night at Darling Harbour, where prizes were handed out, and the prizewinners were celebrated. This was a wonderful weekend that I will never forget. One of the reasons, is that I shared a room with Tina, who I had only met at Relay for Life, and we have become firm friends since. Tina lives in Melbourne, and we don’t see each other often, but we do get together for events such as The Bloody Long Walk which we will be doing together again this year in August. Tina and I joke that we never seem to just get together over a relaxing coffee. There has to be something strenuous going on first. After that original round of 12wbt was over, I went on to be an Ambassador for the program for three more years. Since then, I’ve participated on and off, when I’ve felt like I needed a bit of a push. I still love this program and love to tell people about it. So what did I get out of participating in the 12 Week Body Challenge? Firstly I lost weight, and I’ve mostly kept it off, though I do fluctuate from time to time. I came out of that program with a new commitment to exercise. Motivation is a word that I now disregard. This was one of Michelle’s first lessons. She would tell us not to rely on motivation to exercise, as motivation will not always be there. Just do it! As you clean your teeth every day, you exercise every day. Just fit it into your lifestyle, as something that has to be done. This was a huge lesson, that made sense to me. I often think of Michelle’s words now, as that is how I live my life. Michelle taught me to aim high. To set goals that really stretch me, and then just go for it. I learned not to listen to that little voice in my head, that continually tells me that I’m an idiot. That voice that often tells me that I can’t do it, and I have no business even trying. Meal planning was an important part of 12wbt. By the end of the first round, I was an excellent meal planner, and still am. Meal planning is vital to success with a healthy eating program. My diary was my friend. Every Sunday night I would sit with it, and plan my exercise sessions and anything else I might have to work around. Once an exercise session is in the diary, it is as important as any appointment. This is still part of my routine. The 12wbt is now in it’s 8th year, and I feel very proud to have been involved since the start. It is now a huge program with many more participants than in that first year. 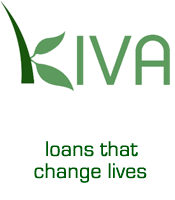 But it is a program that still offers so much and continues to grow. As I walk down memory lane with 12wbt, I am thinking that maybe it’s time to get involved again. There is a new round starting in August. I’m thinking very seriously of joining in again. #Disclaimer: All comments are just my opinion made from my experiences. I receive no payment for comments made. Look at you all glammed up with Michele Bridges, Jen! Well done on so many areas – losing weight, helping others and proving that we are never too old. 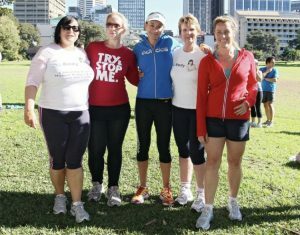 As you know I did a group workout with MB when she came to Brisbane earlier this year and loved it! Good point about motivation as well because we all know we need it but we can’t rely on it to always show up. Thanks for joining us and sharing at #MLSTL. Have a great week! Good on you for finding the perfect program and for being an Ambassador as well! You girls who love keeping fit and exercising are so inspirational to the rest of us who plod along trying to find our 30 every day! Loved all your photos Jennifer – and you look exactly the same today as you did then! Sounds like a wonderful program that has benefited many! Wow, great job. I really love your commitment and enthusiasm.